The wooden church of St. Michael is tucked away in Prague’s Kinsky Garden, but that hasn’t always been where it stood. The church’s original home was in the village of Velke Loucky, where it was built in the 17th century entirely out of wood in the Bojkov style. The villagers sold the church to the wealthier village of Medvedovce in 1793. It was dismantled and then reconstructed in the new location. The wooden church of St. Michael is tucked away in Prague’s Kinsky Garden, but that hasn’t always been where it stood. The church’s original home was in the village of Velke Loucky, where it was built in the 17th century entirely out of wood in the Bojkov style. The villagers sold the church to the wealthier village of Medvedovce in 1793. It was dismantled and then reconstructed in the new location. In 1929, it was dismantled once again and moved to Prague, where it stands today as a symbol of typical popular architecture in Ruthenia. It was transported in four train cars that were especially customized for the job. The church is still used by the Orthodox community of Prague. Inside, the walls of the church are decorated with icons painted in the Orthodox style. There is a separate area for women to worship, which is called the “babinec” or “Grandma’s lounge” in the local dialect. If you’re overwhelmed by the hordes of tourists in Prague’s city center, take a walk out to this quiet, peaceful spot to commune with nature. The church is only open when there’s a mass, but you can still peek inside through the slits of the wooden windows. 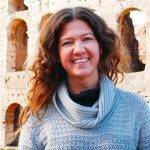 Wendy Werneth is an intrepid world traveler, vegan food and animal lover. She is the author of the book Veggie Planet and the creator of the award-winning vegan travel blog The Nomadic Vegan, where she uncovers vegan treasures across the globe so that you can be vegan anywhere and spread compassion everywhere. 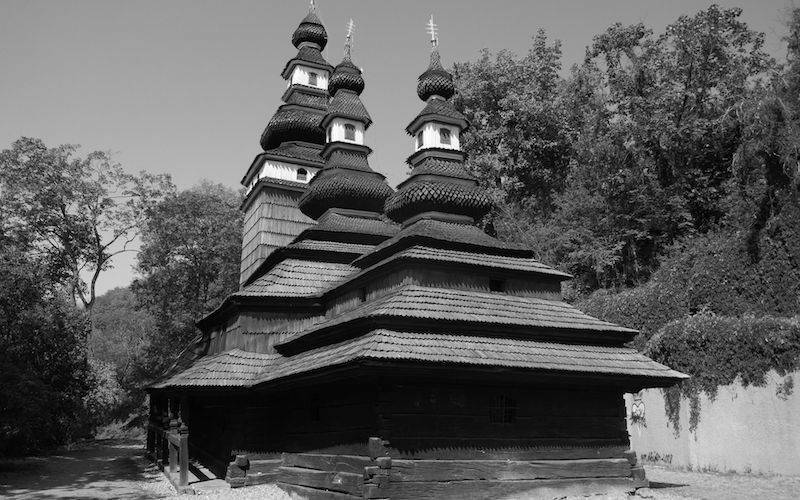 If you enjoyed this article on the Wooden Church of St Michael, you might also like to read about the Pilgrimage Church of St John of Nepomuk and Church of St. John of Nepomuk in Zvonková. Also consider travelling from Prague to Kutna Hora to visit the Bone Church.